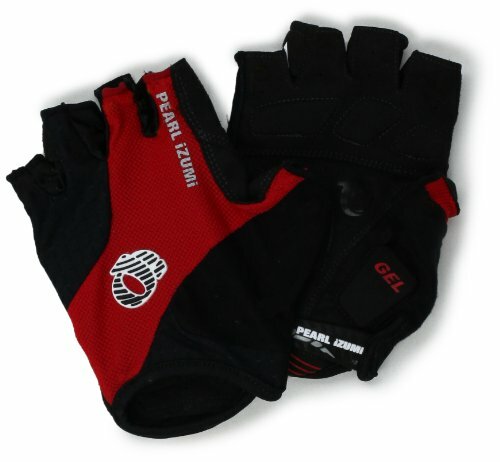 The Pearl Izumi Elite Gel Glove for Men is suitable for bikers who ride frequently. It sports a unique arrangement for the gel pads which is designed to flawlessly work in conjunction with hands bone structure to relieve pressure that may arise from prolonged use thereby resulting in comfort. Tailored with 70 percent polyester and 30 percent nylon for the back and for the palm surface, 40 percent polyurethane and 60 percent nylon, all utilizing the amazing ice-fill technology to deliver a top quality and bike friendly hand glove. High quality material made from 30 percent nylon, 70 percent polyester for the back, and 60 percent nylon, 40 percent polyurethane for the palm and utilizing an ice-fill technology. Creates a seamless fit over the Nerves of the hand bridges to provide comfort when riding. Designed to reduce bunching in the palm resulting in better feel of the handlebar, sturdy grip and comfort. Utilizes a tender, yet tough synthetic leather. Thumb wiping surface that is low-profile and soft. The Pearl Izumi Elite Gel Glove for Men is a very high quality and durable hand glove designed with the hard-core racer in mind. It fits well, very comfy and stays firmly seated on the hand. It comes with a gel that offers a cushioning effect on the hands thereby eliminating any stress that may come from prolonged gripping of the bike handlebars and it achieves this without obstructing the sensations you feel from the handlebars. The fitting of the glove is perfect but the padding seems not to be enough but at the present level, it does a good job of inhibiting numbness to the palms during biking for long hours. The grey side of the hand glove also tends to get dirty fast and also it’s somehow difficult to remove them from your hands quickly. Performance-wise, the Pearl Izumi Elite Gel Glove for Men still does a good job of providing that cosy feel when using them and it’s worth investing in.